Co-founded in October 2015 by Goldie Srivastava, the start-up has served over 15 million 'zero-pollution' rides over last 18 months. Delhi dwellers spend most of their time on roads fighting traffic jams. The growing population in urban cities is worsening the nation’s traffic woes. The continued population growth means ever more cars in the capital which will further contribute to hazardous levels of air pollution. 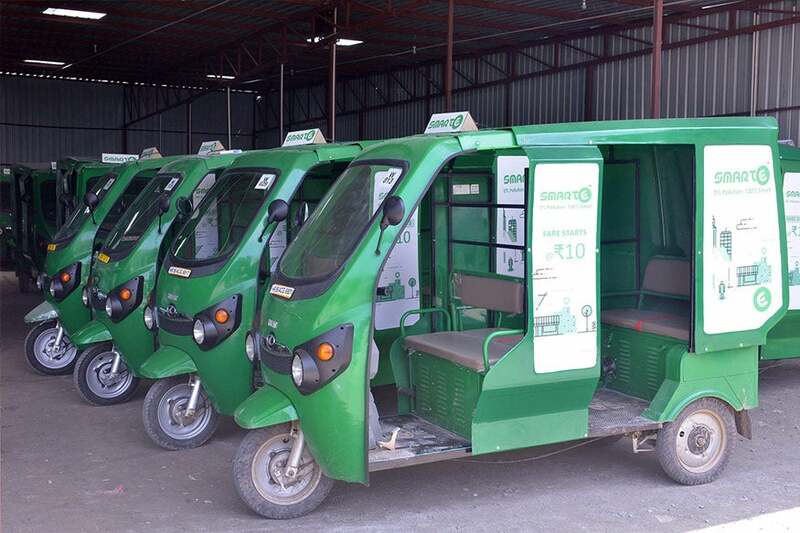 But to find a solution for these issues, Gurgaon-based electric vehicle operator, SmartE has come up with India’s first and largest electric mobility service, offering first & last mile connectivity to tens of thousands of commuters every day. Co-founded in October 2015 by Goldie Srivastava, the start-up has served over 15 million ‘zero-pollution’ rides over the last 18 months. Entrepreneur India had a chat with Goldie Srivastava to know how SmartE is solving the last mile connectivity issues. In late 2014, when Srivastava along with other co-founders were looking to solve the last mile problem, Delhi became the most polluted city, as per the World Health Organization (WHO) report. “After the WHO report, it was not just the last mile connectivity issue that we were grappling with. We also realized that the number of vehicles that we are putting on the roads is creating a monster in terms of pollution. So, we decided to address the last mile connectivity issue in a manner that it doesn’t add much to the pollution problem in the city,” he added. The other very important aspects, SmartE is focusing on are enabling livelihood generation, providing reliable last mile connectivity and lastly, preventing environmental pollution. “We started working with Haryana and Delhi government and piloted our first batch of fully commercial vehicles in March 2015. Today we are now 660 fleet vehicles going on to 1000 vehicles by March 2018. Over the period of last two years we have emerged as largest electric mobility player by delivering over 15 million rides,” said Srivastava. Start-ups face multiple hurdles at various levels. Srivastava had no idea what new set of challenges were awaiting him. “At one stage of our growth, we faced a variety of challenges like government policies, e-vehicle finance, finding a reliable battery manufacturer and last but not the least massive significant resistance from the unorganized segment,” shared Srivastava adding because of our close working with State government we were able to solve these issues. SmartE is currently last mile partner for Delhi metro in all of Haryana. “Our vehicles are queued up inside the Delhi metro stations. The routes are fixed and the rates are as low as 10 Rs. for a 2 km ride. Therefore, from customer’s perspective, it’s a very seamless journey,” he added. For Srivastava, introducing electric three-wheelers across the country is a starting point. He emphasized that SmartE is focused on e-three wheelers because for other product categories India needs a matured market. “By that, I mean that if you look at the three-wheelers, we have some fairly decent OEM’s (Original Equipment Manufacturer) in the country making good products,” said Srivastava. Many start-ups are entering the electric-vehicle race to create eco-friendly alternatives for Indian consumers. Highlighting the growing competition Srivastava shared that not many companies are getting into the operating space.